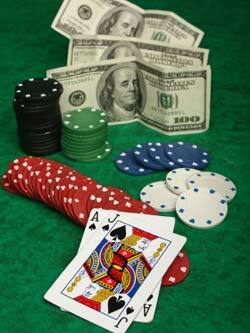 Blackjack is an immensely popular casino game. This is primarily due to the fact that it is very easy to grasp the rules of this game. A complete novice can start to play this game if he or she has basic counting skills and can go through some simple rules. Different casinos have different set of rules, be it actual casinos or the online ones. The most common and general rules that are similar for almost all casinos have been mentioned below. It is important that you learn about the playing rules of a casino before you hit the tables. The basic aim of this game is to exceed the card count of the dealer without going over a overall card count of 21. There might be a lot of people playing at the same table, but, the only opponent for each player is just the card dealer. The dealer distributes the card from his left to his right and gives ach player two cards. In general, both of these cards are face up. The dealer usually receives two cards too, but in this case, one card is face down. This card is called the hole card. If a player receives both the cards in face up condition, the casino rules don't allow touching these. Beginning from the left side of the dealer, each player is given a chance to decide whether he wants more cards (hit), or, wants to refuse cards (stand). Every player is allowed to get cards till the overall count reaches 21. Every turn of a player is followed by a turn of the dealer. If the card count of the dealer is 17, he cannot get any more cards. Also, in some cases, if the dealer has a soft 17 card count that has an Ace, he should go for a hit. But, this rule is not followed everywhere. If the score of the dealer is lesser than or equal to 16, he must go for a hit. As your only adversary is the dealer, you don't need to compare cards with other players. Just compare your hand with the dealers.